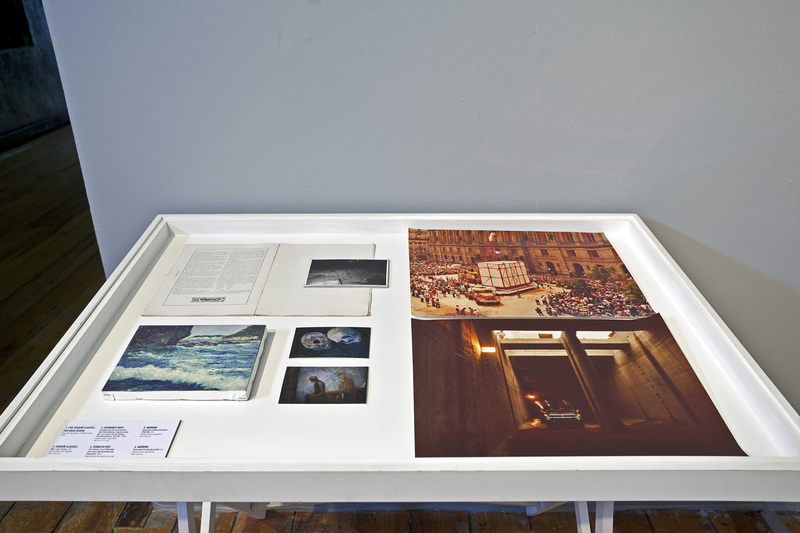 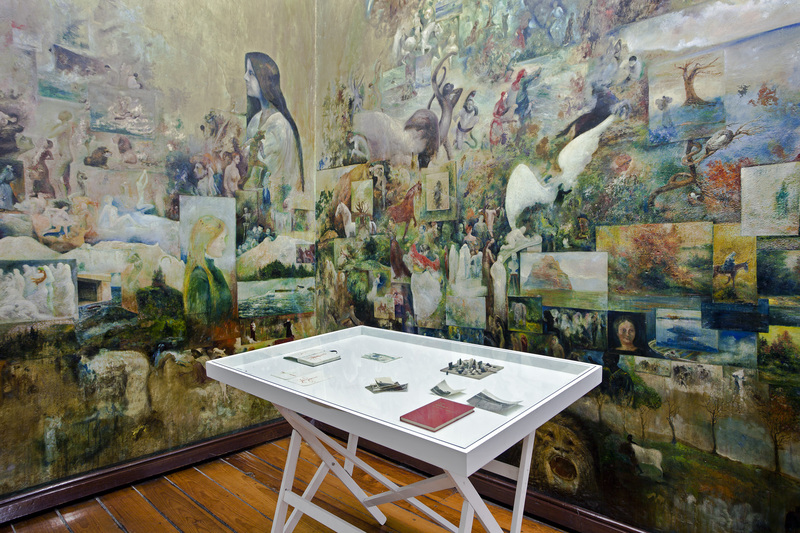 Exhibition views, intervention in the former studio of Joaquín Clausell, Museo de la Ciudad de México, Mexico City, April 2013. 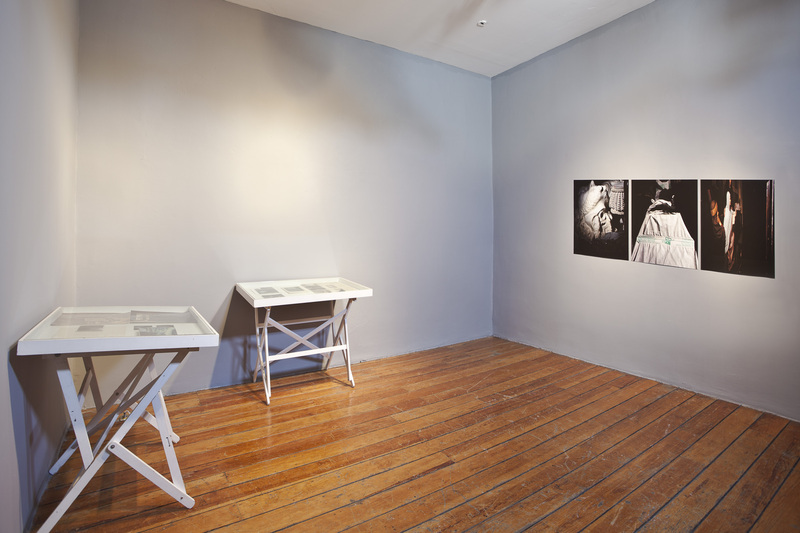 Exhibition views, photos "Knotworks", about the archive of El Museo de la Ciudad de México, Mexico City, April 2013. 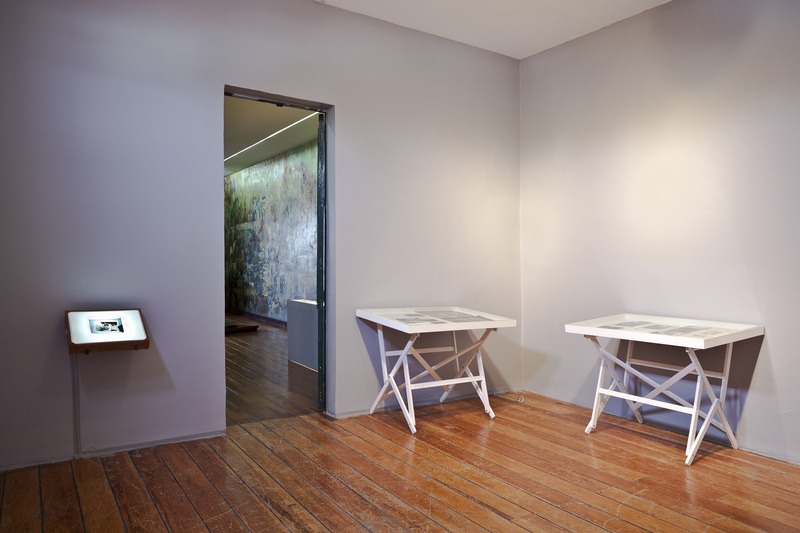 This project proposes a reading of fragments that had constructed the imaginary of the city through the collection of The Museum of Mexico City. 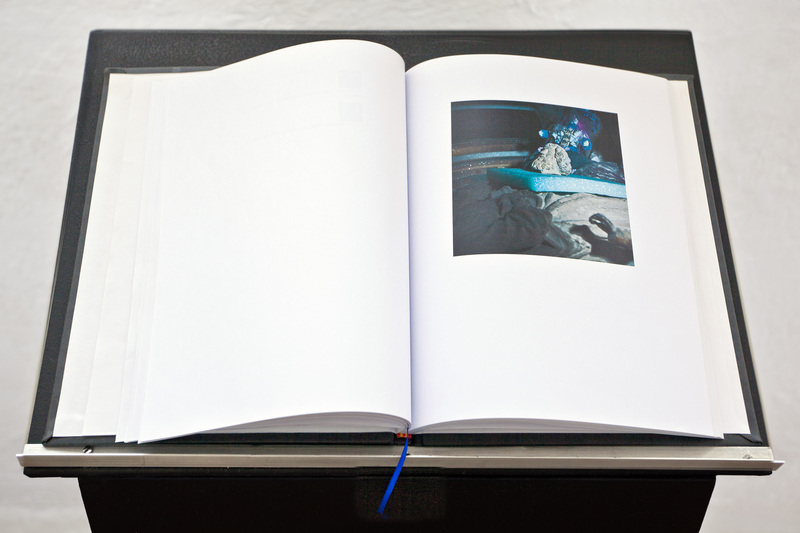 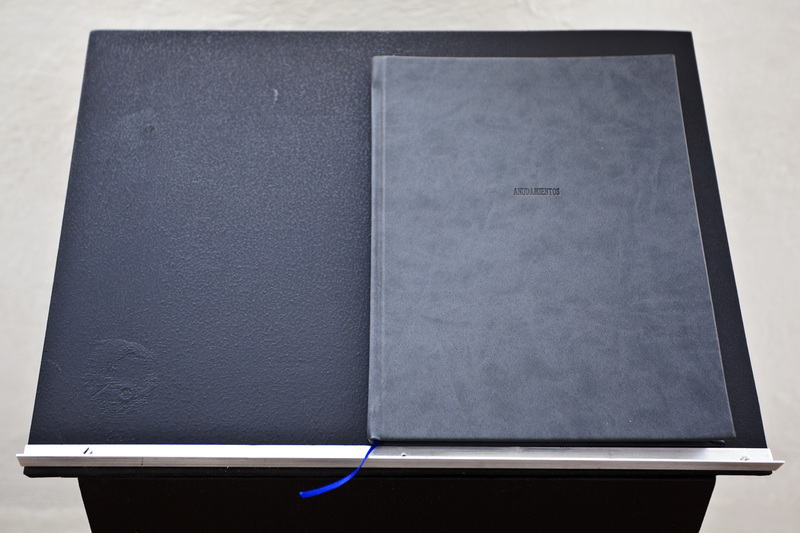 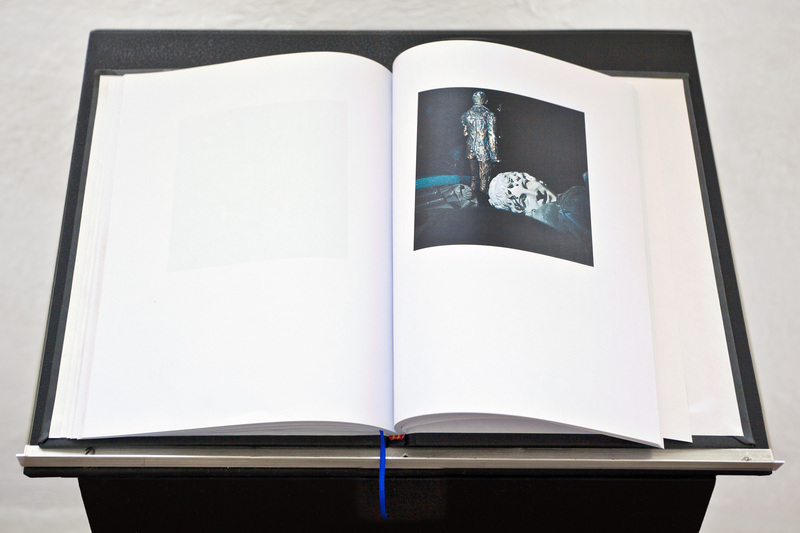 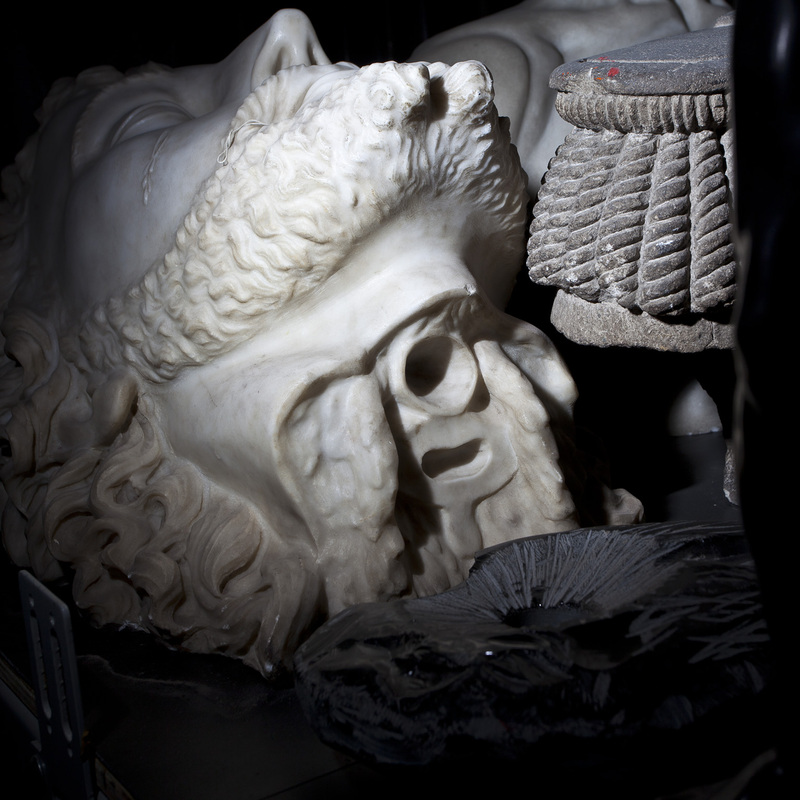 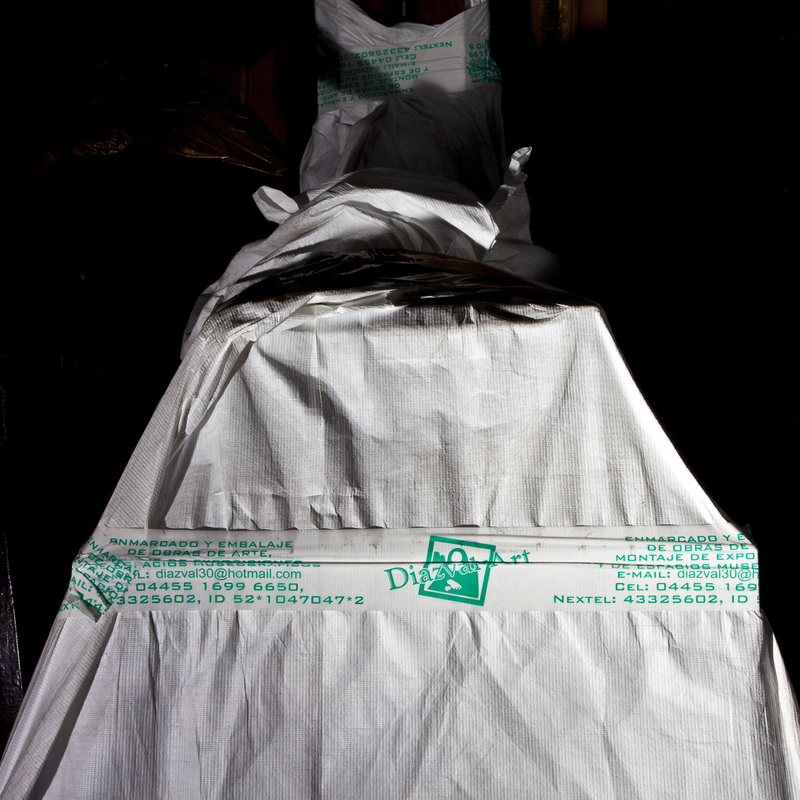 Departing from a photographic study of the collection in situ, using the gaze of a forensic investigator, he makes evident the accidents and filiations that emerge out of the process of cataloguing. 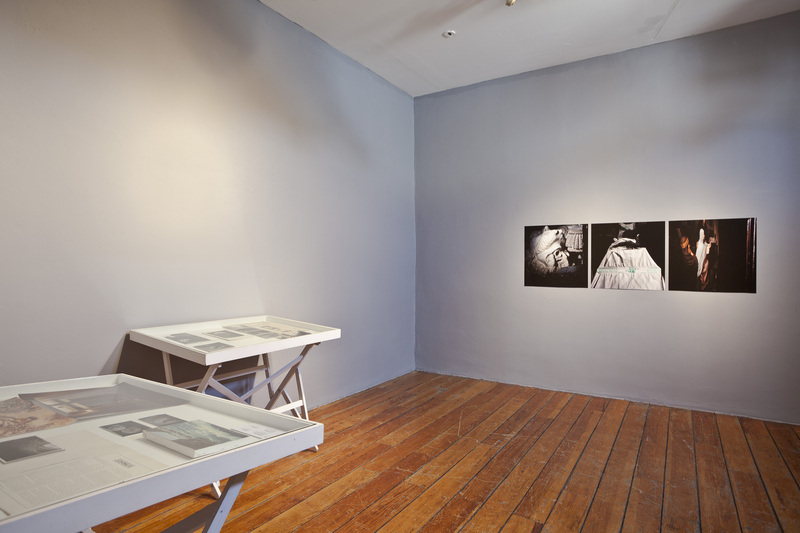 The exhibition presents the photographs of his study, together with objects, images and documents of the collection that Ruiz himself has selected, arranged under the logic of enigma and the anecdote. 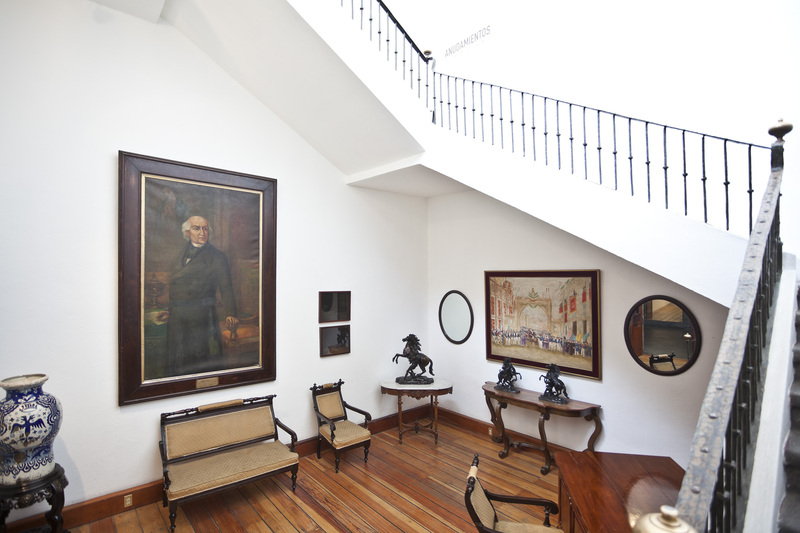 The stage where this takes place is the studio of the late artist Joaquín Clausell that has been a witness of the evolution of Museo de la Ciudad de México. 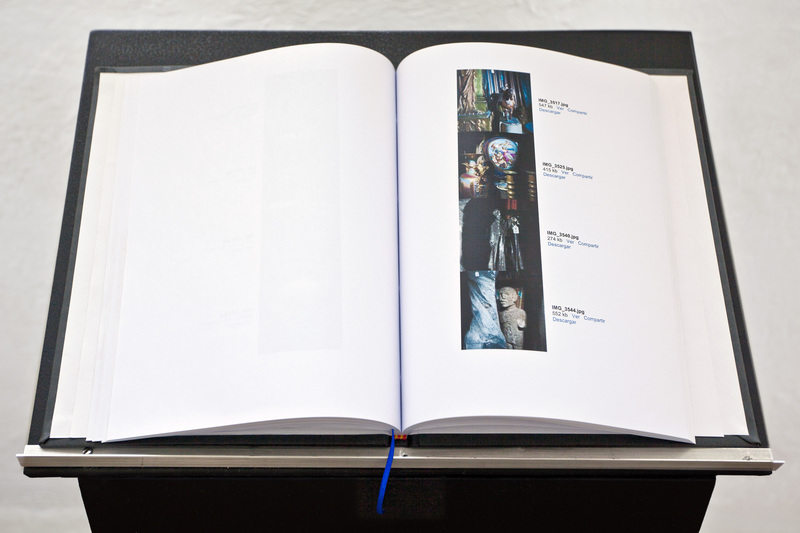 The show proposes a dialogue with the multitude of images that inhabit the walls of the studio, knotting threads of communication with the selected objects of the archive and generating new meanings. 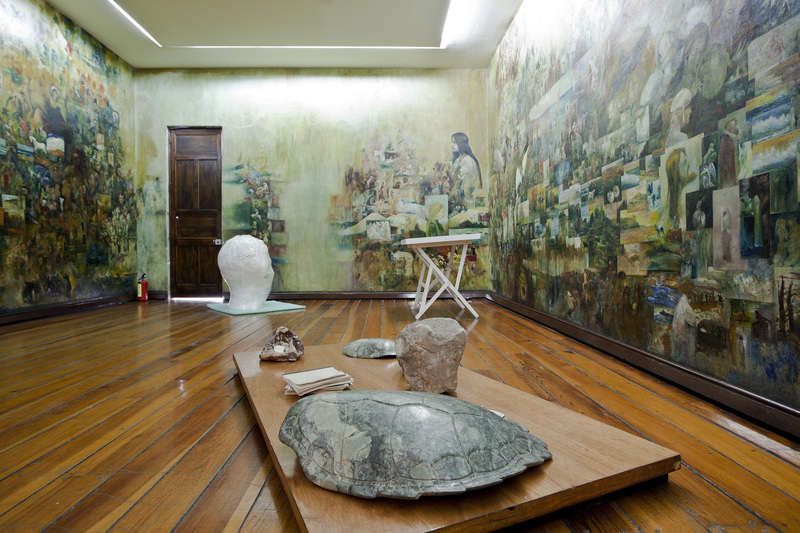 Here the figure of Clausell becomes fundamental, reevaluating his historical presence through the objects that occupy the house where he once lived. 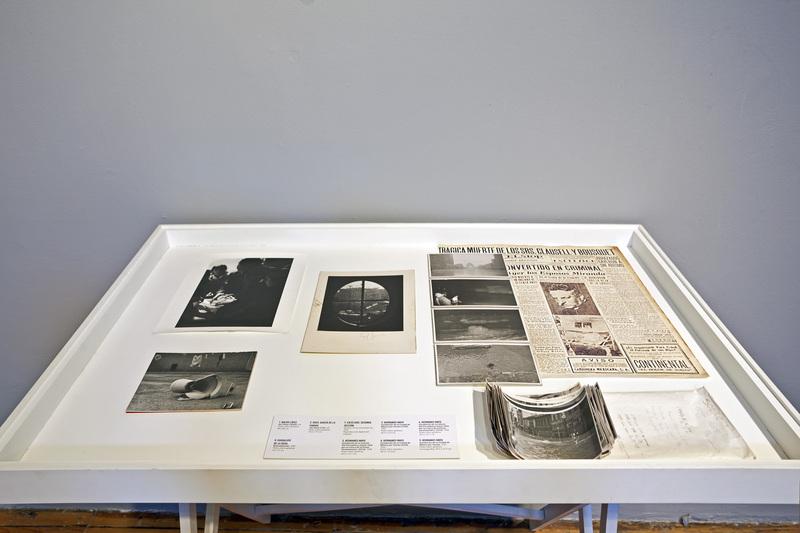 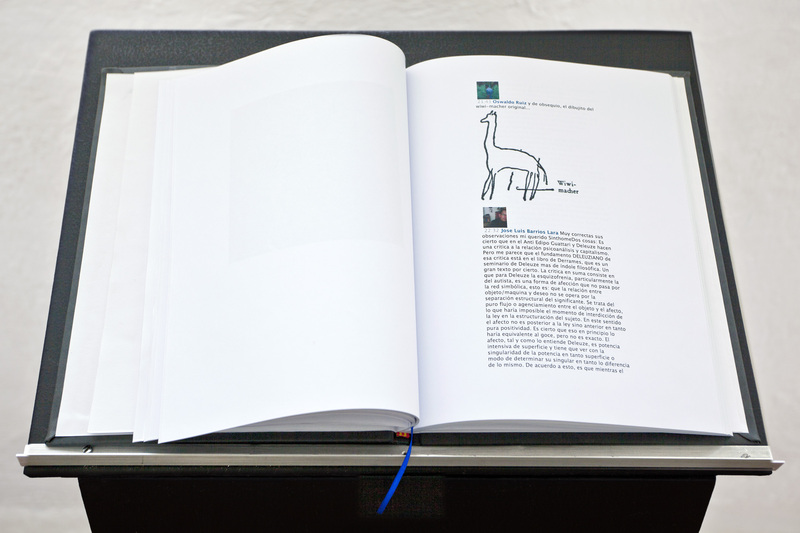 The process was developed through a curatorial dialogue between the artist and the philosopher José Luis Barrios, who proposed a series of questions about what a collection means and its consequences around the concept of truth. 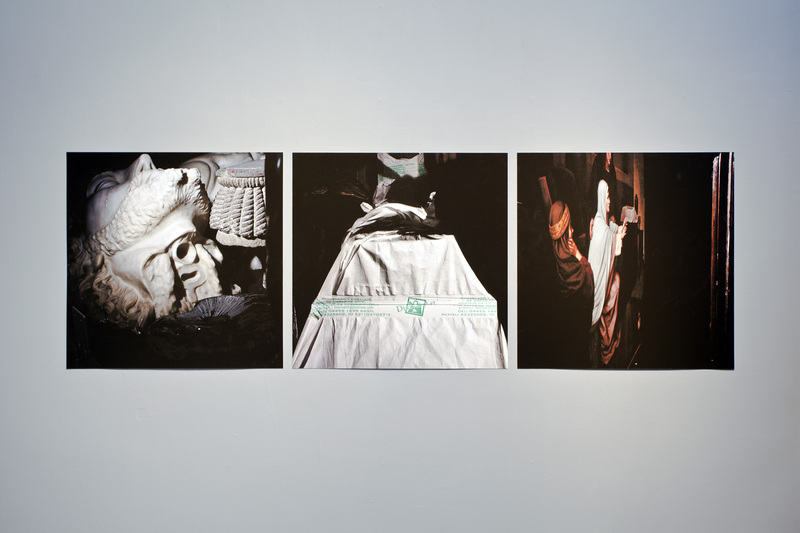 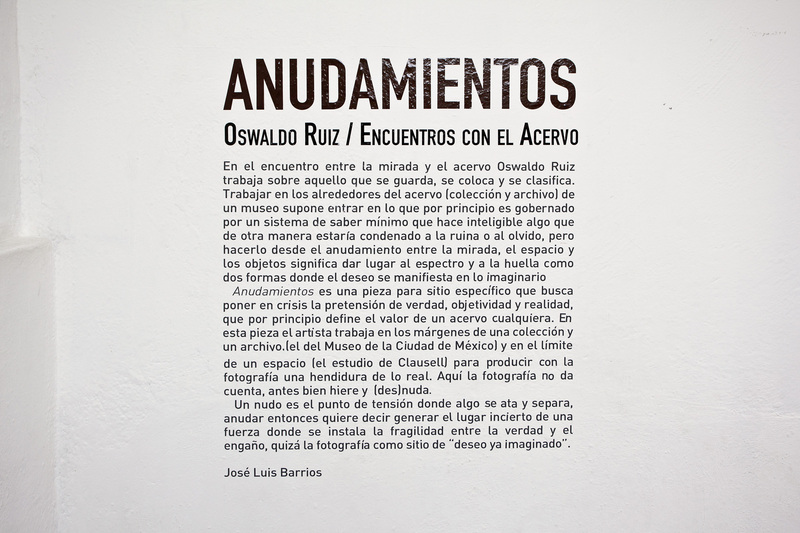 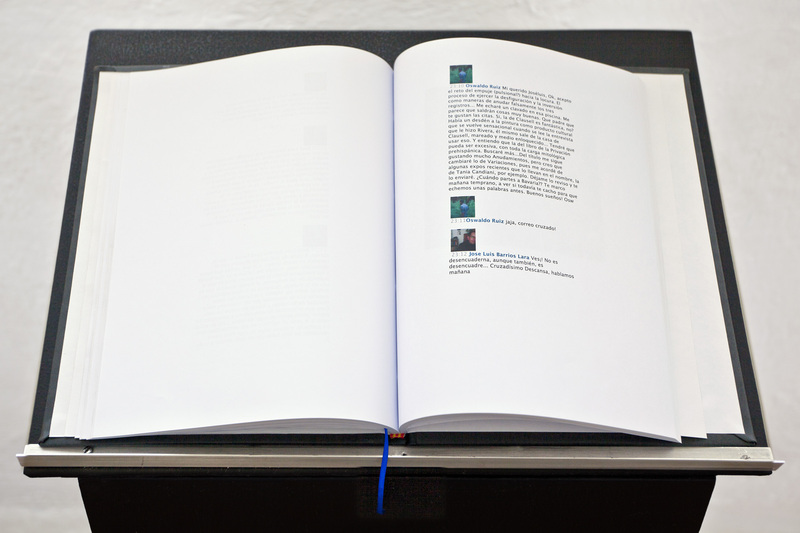 In this way the dynamics of the encounter were generated relating gaze and history; as Barrios describes it in the text that accompanies the exhibition: “Anudamientos (knotworks) is a site specific piece that attempts to set a crisis of the pretension of truth, objectivity and reality, that by principle defines the value of any given collection or archive.” The result is a piece that operates a resignification of the imaginary of the museum through its memory condensed in one same place. 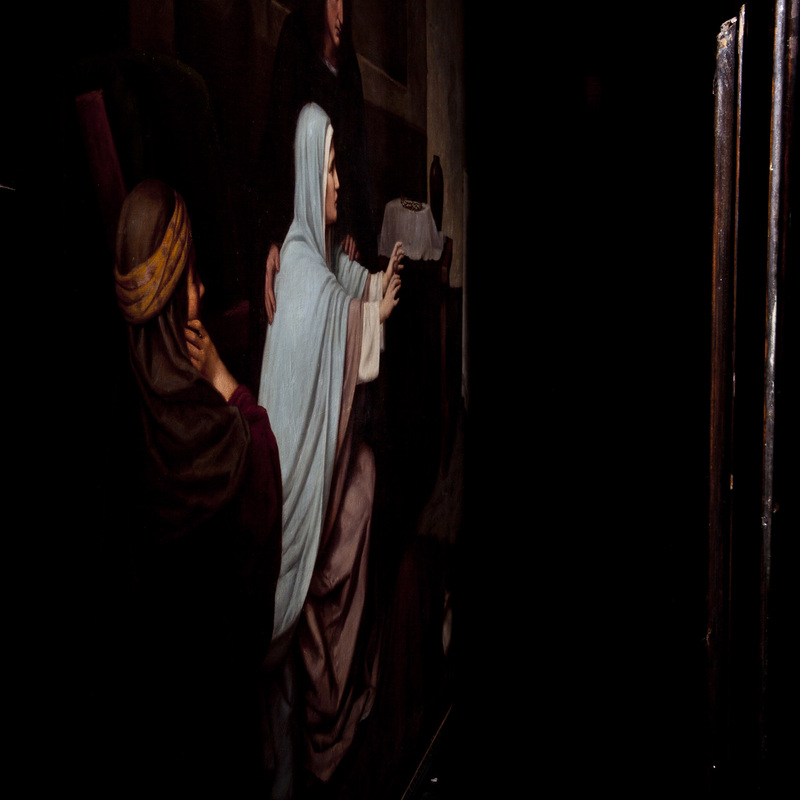 Where the knotting between gaze, space and objects summon the specter and the trace as two different sides of the imaginary.